In the event of a fire, a smoke alarm can save your life and those of your loved ones. They are a very important means of preventing house fire fatalities by providing an early warning signal – so you and your family can escape. Smoke alarms are one of the best safety devices you can buy and install to protect yourself, your family, and your home. Standard-issue detectors have saved countless lives, but those battery-powered sentries can drive you crazy with false alarms and middle-of-the-night chirps when the battery needs changing. Some new smartphone-connected smoke and carbon monoxide detectors offer fixes for that. 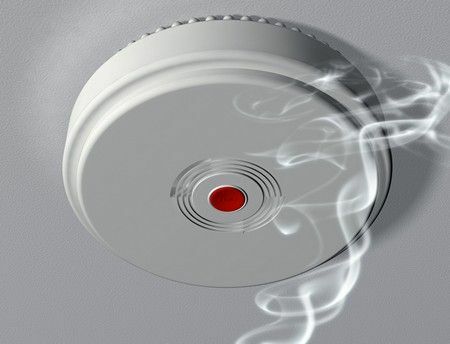 Interconnected smoke alarms are safer than standalone smoke alarms, because they let you know about an emergency sooner. Even if you're in the house, you may not be close to the area where the fire started. If you're in the basement, you may not hear an alarm in the bedroom. According to the National Fire Protection Association (NFPA), the majority of fatalities from US home fires were located in a different room than where the fire started. 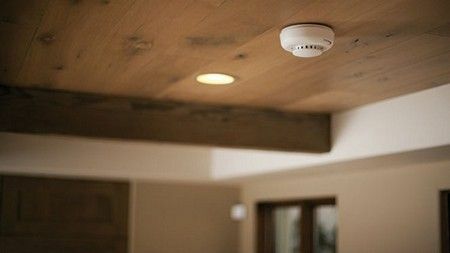 Because of their many benefits, including safety and early warning, many states now require interconnected smoke alarms for new home construction. In the past, interconnection had to be hard wired between smoke/carbon monoxide alarms. Now smoke/CO alarms can be interconnected wirelessly, without requiring expensive retrofits. With Wireless Interconnect, you can easily retrofit existing homes and get them up to code. There's nothing more critical than having a working smoke detector in your home. Its loud, piercing alarm should wake you if there's smoke or fire, so you and your loved ones can safely escape, or put out the fire. Smart smoke detectors go further; they send an alert to your smartphone if they sense something amiss. That way, if you're at work, or out of town, you can call the fire department or have a neighbor check on your house, to see if everything is OK. Another benefit of a smart smoke detector is that you can temporarily silence the alarm from your smartphone – so there's no more trying to jab the silence button with a broomstick after you set it off while cooking a steak. One of the best overall "smart" smoke detectors on the market today is the Nest Protect. It's a fully-featured smoke detector that instantly notifies you where the problem is. 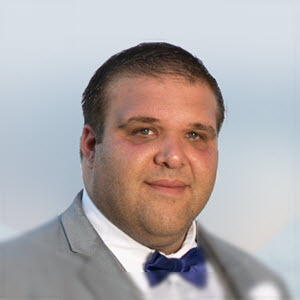 It works with a lot of other smart home systems, and even performs automatic self-checks every month. We suggest you get the best! You wouldn't put up with a rotary phone or a black and white TV. So why do you put up with alarms that just beep and chirp? Shouldn't your alarm sense smoke and carbon monoxide? And alert your smartphone when something's wrong? What if it could light your way at night? – the Nest Protect* Smoke Detector does this! * Nest Protect — A state-of-the-art, "industrial-grade", "interconnected" smoke detector that tests itself automatically. We guarantee to properly install your smoke detector units and fully abide by the standards of the industry. — It's your safety, don't settle for less!